By CNN'S JIM ACOSTA, SARAH WESTWOOD, BETSY KLEIN AND KAITLAN COLLINS CONTRIBUTED TO THIS REPORT. For more than two years, Donald Trump has wanted the investigation into allegations of collusion with Russia to go away. Now that it has, the President isn't prepared to let go. Even as the specter of Robert Mueller's probe has vanished, Trump plans to turn the investigation, Democrats' constant accusations of wrongdoing and the media's coverage of it all into a new foil, half a dozen advisers and aides said. He has already signaled he'll weaponize the results, targeting those who ordered the investigation and Democrats he says waged political warfare. The conclusion of Mueller's investigation without establishing collusion could present an opportunity to move past a dark period and toward a sunnier, more disciplined presidency -- an outcome some advisers have wished for in private. "There are a lot of people out there that have done some very, very evil things. Very bad things. I would say treasonous things against our country," a furious Trump said Monday in the Oval Office, where he was meeting Israeli Prime Minister Benjamin Netanyahu. "We've gone through a period of really bad things happening. Those people will certainly be looked at." There is no indication so far that Trump is planning to order the counter-investigation he has floated, but as he prepares to wage a tough battle for re-election, the President and his campaign advisers see the report's conclusions as political gold, even if it means keeping the lingering questions of Russian election interference and legal wrongdoing in the political bloodstream for years to come. The result will likely be an amplifying of the President's biting criticism of Democrats and the media, attack lines that have consistently been effective fodder to rev up his political base. One Trump adviser who speaks to the President regularly told CNN's Jim Acosta to expect Trump and his team to "slam and shame the media" over Mueller's conclusions in the Russia investigation. "I think it's gonna look like probably the second-most exciting Trump event, following the election night win in 2016," said Jason Miller, a top communications adviser on Trump's 2016 campaign. "This is a cloud that has hung over the presidency in the first two years of it. Now that cloud has been lifted -- and not just lifted, but in such complete and convincing terms." Those around the President expect him to turn the findings of the Mueller investigation -- at least those revealed in Attorney General Bill Barr's letter -- into a political cudgel that he will use to ramp up his rhetoric assailing Democrats and the media to new heights, equating the punditry and speculation about the investigation with reporting about the investigation that did not predict an outcome either way. The President's campaign has already begun to blast out a series of fundraising emails centered on the investigation. And on Monday, the campaign's communications director sent an email to TV news producers suggesting several Democratic lawmakers and a former CIA director should no longer be considered credible guests given their allegations of collusion between the Trump campaign and Russia. That messaging is unlikely to abate and could ultimately prove as central to Trump's 2020 messaging as his allegations of wrongdoing by Hillary Clinton were in 2016. "The fact that the entirety of the Democrat party through the megaphone of the national media spent every waking moment of the last two years screaming about Russian collusion is absolutely going to be an issue," Trump campaign communications director Tim Murtaugh said of the 2020 campaign. "We've been hearing these charges for two solid years. I think you might hear a little bit about the fact that all of it is untrue." The rhetoric, though, will not be enough for some of the President's supporters, who want him to go beyond the rhetoric and move to action -- raising the specter of counter-investigations. "I believe that we need to investigate the investigators," said David Bossie, the President's former deputy campaign manager and an informal adviser. "I think that there needs to be an accounting. People need to be held responsible for what they have done to this country for the last two years. I am not ready to move past that. I think that's a very important element of what we need to do." One former associate joked Sunday after Barr released Mueller's key findings, "Now how does he mess this up?" "I'm hoping now that we've moved beyond this investigation and he is not being personally accused of colluding with a hostile foreign power, which I think clearly there was no collusion, and at some point we need to accept that and move on," said Rep. Michael Waltz, a freshman Republican from Florida, on CNN. "I'm hoping that tone and rhetoric will change." Inside the White House, as feelings of elation at Mueller's findings eased, some advisers expressed a private desire for Trump to attempt a more traditional presidency, one focused on sober policymaking instead of chaotic attempts to change the narrative. That includes a focus on securing a trade deal with China -- an outcome Trump is eager to achieve, believing it could boost the stock market and, by turn, his political prospects. Aides are also eyeing a long-delayed infrastructure push and steps to lower drug prices, both areas seen as ripe for bipartisan cooperation. He's also expected to embark on several foreign trips this spring. At the end of the week, the administration's foreign policy apparatus appeared in disarray when Trump abruptly tweeted he was reversing new sanctions on North Korea. It took hours for officials to clarify what Trump was talking about, which turned out to be still-unannounced measures in the works at the Treasury Department. Going forward, it's not clear Trump will stick to any singular messaging strategy, particularly as Democrats continue to agitate for access to the full Mueller report and mount their own investigations in Congress. Although some White House officials say trade deals with China and the country's North American neighbors will rank among the most important items on Trump's agenda in the weeks ahead, the President has shown few signs of an impending pivot. 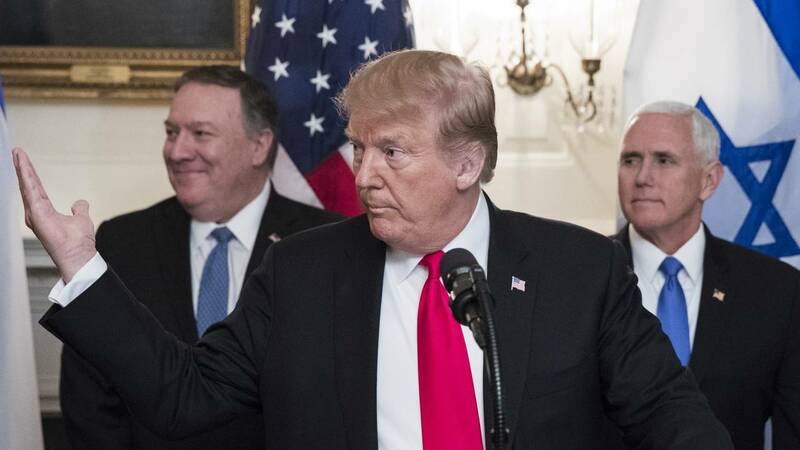 In talking points sent to surrogates on Sunday evening, the White House listed the passage of Trump's reworked agreement with Canada and Mexico as an immediate area of focus in the wake of Mueller's report. A White House official said the team is also prepared for the possibility that Democrats will unite against the deal to deny Trump the political "win." Democratic lawmakers could face even greater pressure not to cooperate with Trump while he's berating them for supporting the Russia investigation.